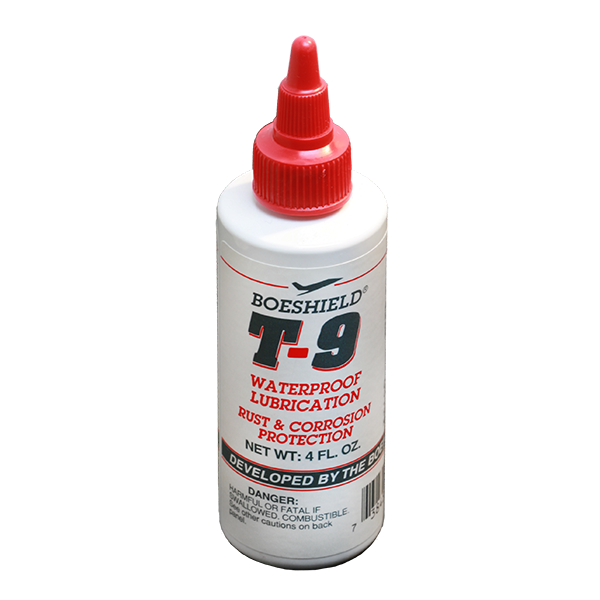 SKU: TL-Boeshield-T9-4oz. Categories: Stainless Steel Rectangular Top Rail Components, Stainless Steel Round Post Components, Stainless Steel Square Post Components, Stainless Steel Round Top Rail Components, Stainless Steel Round Railings, Stainless Steel Square Railings, Thru-Post End Fittings, Metal Surface End Fittings, Wood Surface End Fittings, Individual Cable End Fittings, Cable, Tools. 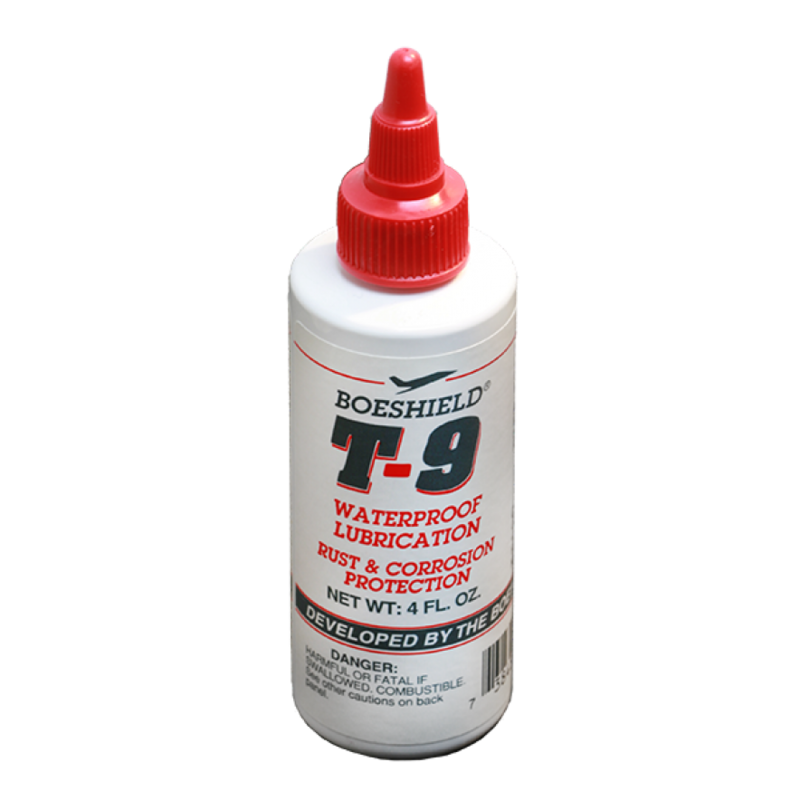 4oz Bottle of Boeshield T9, for use in marine environments to keep cables and other stainless steel pieces clean and rust-free. Clean off loose dirt and grime with a wet rag, then apply T-9 and wipe off excess. T-9 dries to a waxy, waterproof finish without leaving a sticky film to attract dirt, dust or mud. Use during initial installation and as needed for long-term maintenance.